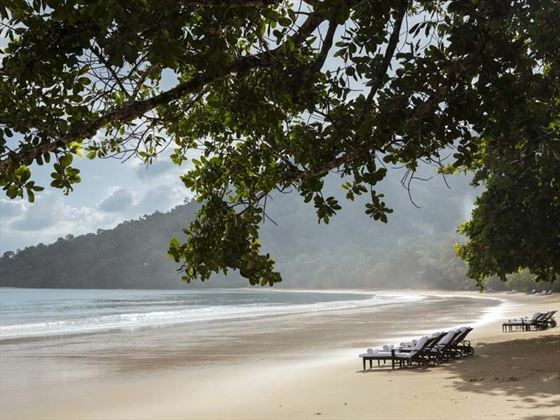 Nestled within pristine rainforest leading down to a private white sand beach, The Datai Langkawi is one of the best Malaysia resort experiences in Langkawi. This is a stunning hideaway at the very heart of nature. 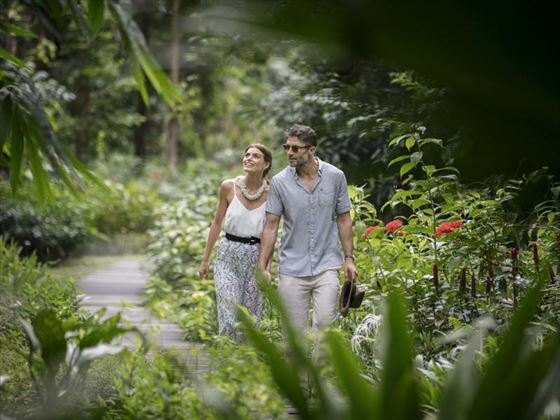 Footpaths through the jungle connect the resort, its free-standing private villas and two pools. The beach overlooks the azure waters of the Andaman Sea. Simply laze, or choose from the full range of watersports on offer. The Els Club, an 18-hole course designed by Ernie Els is located less than a 5 minutes drive from the resort and guests will receive preferential rates. Mountain-bikes are available too and the award-winning Spa offers a variety of treatments based on the ancient Malaysian Ramuan healing rituals. While this Malaysian Spa Resort will take your breath away, the cuisine here is divine so ensure to make time to enjoy the variety of restuarants on offer from The Pavilion restaurant - a signature Thai restaurant perched above the rainforest canopy, The Gulai House offering traditional Malaysian cuisine and a beautiful hand washing ceremony before each meal, The Beach Club with its stunning backdrop of the Andaman Sea and international/ seafood and grilled delicacies or The Dining Room serving French fine dining in the evenings (for ages 12 years and upwards only). Guided nature walks through Langkawi’s tropical rain forest are highly recommended. 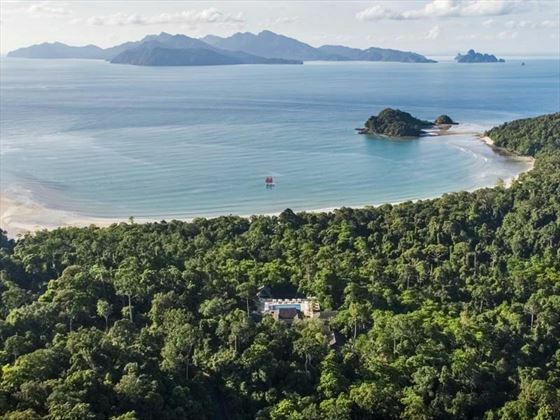 Nestled in a luscious, ancient rainforest on the beautiful island of Langkawi, overlooking the sparkling Andaman Sea. The hotel's secluded location truly gets you back to nature, creating a tranquil and serene ambience. The hotel is approximately a 40 minute drive from Langkawi International Airport. Canopy Deluxe - Charming 62.5sqm rooms with airy, Balinese style decor and a private balcony. Canopy Premium - Lovely 62.5sqm rooms located on the top level, offering a wonderful view from the balcony. Canopy Suite - Spacious 125sqm suite featuring a large balcony, and a gorgeous separate living and dining area. 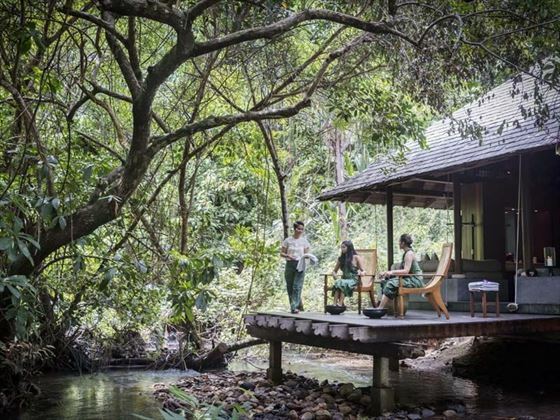 The Datai Suite - Beautiful 258sqm suites boasting a large living and dining area, and a spacious balcony offering panoramic views of the rainforest. Rainforest Villa - Raised on stilts, these characterful 93sqm villas are picturesque and rustic, featuring a combined bedroom and living space, and a big bathrooms. 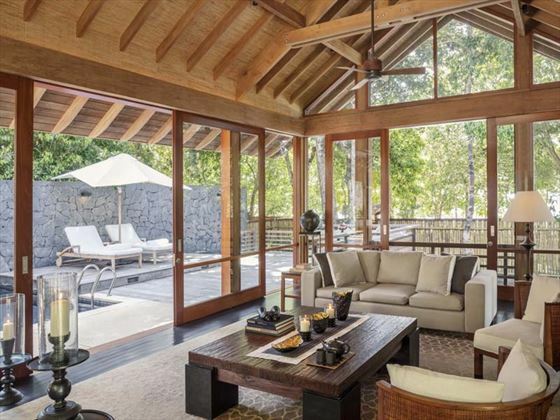 Nestled along the rainforest stream, these are very tranquil villas. Rainforest Pool Villa - Opulent 120sqm villas offering pure privacy and seclusion, opening up into a shielded patio with a private plunge pool and Jacuzzi, which you can enjoy with rainforest views. 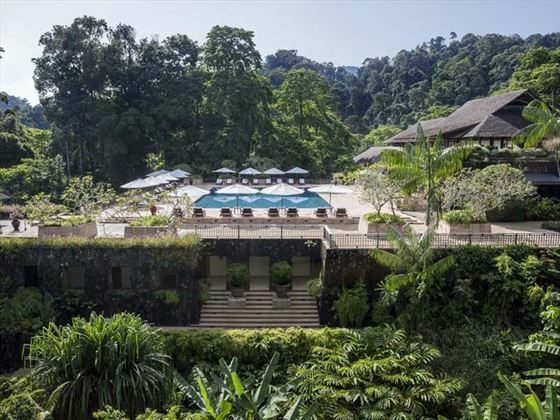 5 Bedroom Datai Estate Villa - At approximately 3,500 square metres, complete with three spacious living/dining rooms, five bedrooms including a master bedroom, two pools, dining facilities, a lounge for relaxing in, and game rooms. There is also 24-hour butler service and a private chef. 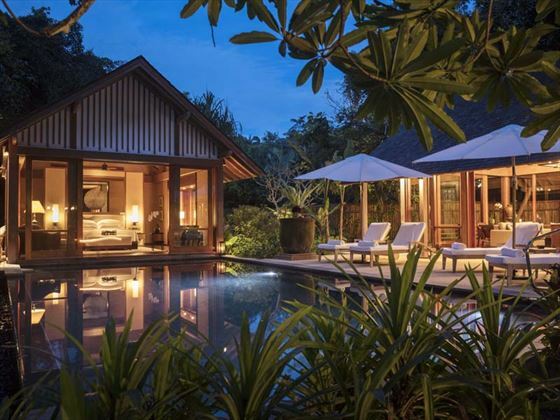 One Bedroom Beach Villa - These stunning 218sqm villas are found on Datai Bay, surrounded by rainforest for added seclusion. 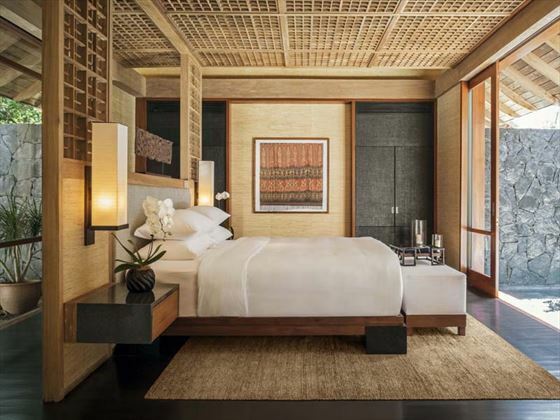 Each villa features an outdoor garden with a private rain shower, a separate living area, and an open plan living and dining area opening out onto the private pool and sundeck. Guests will also have their own butler service, as well as complimentary beers and non-alcoholic drinks from the mini bar. Two Bedroom Beach Villa - Larger than the above category, with the same location and amenities. 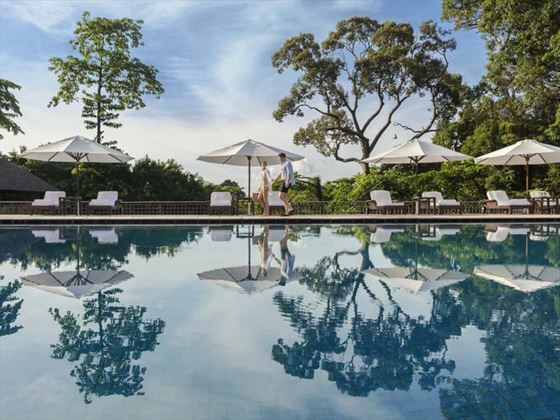 475sqm in size, this is perfect for an intimate family holiday. 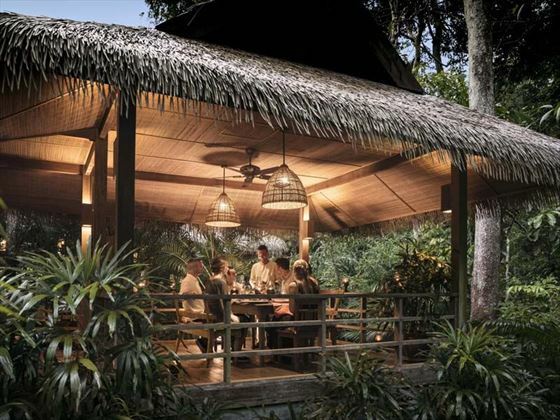 The Dining Room serves Malaysian and western specialities serving daily breakfast, lunch and French fine dining in the evening with an extensive wine list and views over the rainforest. For dinner this restaurant is for ages 12 years and upwards. Please note there there is a dress code at the Datai which is Elegant wear. Watersports Pavilion - offering a range of complimentary non-motorised watersports. The unique jungle surroundings of the Datai are fantastic for children to explore and learn about the rainforest surroundings, they are welcome at the hotel. Please note that there are no specific facilities for children except for babysitting, therefore we would recommend children to be aged 12 years and upwards to enjoy the facilities. Minimum of 3 nights consecutive stay. Upgrade not applicable for suites and beach villas, subject to availability and not valid during the festive season and in February.